Past stories and culture clearly depicts how people had to search for exclusive furniture items they needed. Now the latest trend in Pakistan is the designer wear, designer furniture, designer décor and arrangements – everything is designer and this is what the demand is. So salutes to the top furniture designers, who have bought this mutiny, style and creativity to Pakistan furniture industry. Furniture designers like Better Home, Casa Bella, Designers Etalage, Interwood, Living Options, Marvello, Areeca Furniture, The Wing Chair, House of Zunn and many others are playing animperative role in sprouting the living standard and luxury level of people. The extensive range of designer furniture ranges from classic antique art to the modern contemporary style of architecture with an aim to achieve quality and stylish living standards. 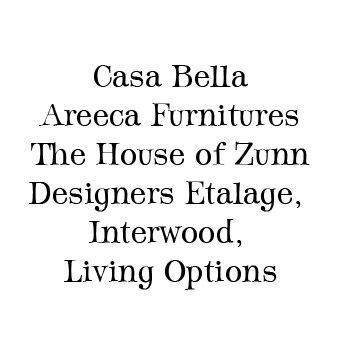 Let us look at the Areeca Furnitures, this designer furnituresare known as the home of Pakistan interiors. Areeca Furniture is the perfect choice to visit and get best quality rose wood furniture items. They are proud to give out quality furniture to their customers which are affordable and long lasting. Their items are available for Bedroom furniture, to living room furniture, from dining room furniture, to wall units/entertainment, and to home office furniture etc. Casa Bella is one of its kinds. Here a beautiful mixture of high quality products of furniture for all the Pakistanis are a add on to big designer furniture for home or offices. Their items are displayed on the showrooms and their mode of delivery is quick and reliable. Casa Bella is famous for its bathroom and living designer furniture. The House of Zunn, is not just a showroom of designer furniture, it’s aninspiration to recreate something unique and thus to provide exclusive furniture and accessories that will give a look that is out of world.The designer furniture is Asian, modern, rich exotic woods, teak and rosewood designer furniture whose beauty will last long and it would be comfortable for any room.The complementary nature of our collections provides endless design possibilities for your living room, dining room, bedroom and more. Interior designers, especially designer furniture are sometimes underrated and underestimated in the design community, but with gradual time it has been flourishing and showing off the beauty and luxury of its designer furniture. No matter how great your piece of creation is, but people take their time to develop their trust on these designer furniture. Furniture designs that are durable and don’t lose their beauty are all timeless classics. One more reason that this furniture designer is not reaching its boom is the issue of replica. In Pakistan the copy of a designer furniture item is immediately out so the original value of the item loses its worth. Designer furniture in Pakistan is preferred by allied class as it is quite expensive for people of middle or average class to easily afford it. But still the designer furniture industry is still working on such issues as people are becoming more status conscious and idealism lavish standard of living and comfort.